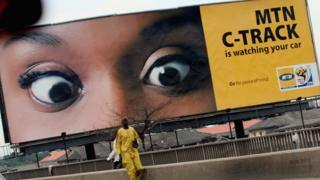 Nigeria has asked mobile phone operator MTN to pay a $2bn (£1.6bn) tax bill, the company says. MTN challenged the figure, saying it related to activities over the past decade. It said it had settled the bill with a $700m payment. The tax demand is the latest in a series of disputes between MTN and Nigeria, the company's largest market. In 2016 it agreed to pay Nigeria $1.7bn over failing to disconnect unregistered Sim cards. Last week, Nigeria's Central Bank ordered the company to repatriate $8bn it said had been taken out of the country illegally. MTN, Africa's largest mobile phone company, said the tax bill had emerged from an investigation by Nigeria's attorney general and related to "the importation of foreign equipment and payments to foreign suppliers over the last 10 years". But, it added, "MTN Nigeria believes it has fully settled all amounts owing under the taxes in question". Shares in the company on the Johannesburg stock exchange fell sharply on Tuesday's news, reaching a low of almost 10 years.